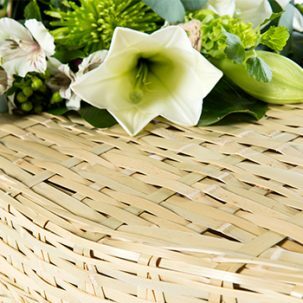 We offer a large range of eco-friendly wicker coffins for burial and cremation in Golborne and the surrounding areas. 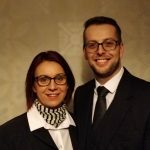 We also offer a large selection of traditional coffins in a variety of styles and a number of colourful coffins to give a more bespoke and personal touch to the funeral service of your loved one for burials and cremations, as well as a selection of eco-friendly wicker caskets and colourful caskets to hold cremated remains post-cremation. 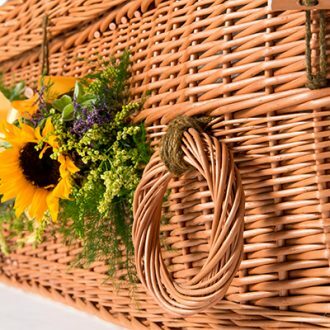 Almost all of the eco-friendly wicker coffins we offer can have bespoke touches applied to them to add a more personal feel, please take a look at the range we offer below. 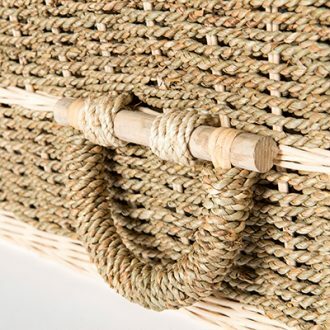 Fair Trade crafted bamboo coffin woven from sustainable and flexible bamboo cane. The straw coloured bamboo has a light green hue and as with all natural materials, the colour can vary between strands. 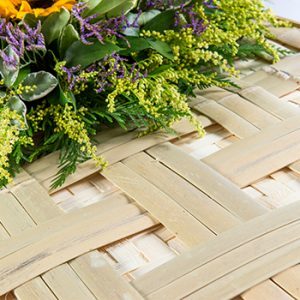 Fair Trade crafted bamboo coffin woven from sustainable and flexible bamboo cane split into strands of varying size. The beautiful chequered appearance is achieved by weaving light and dark bamboo together. 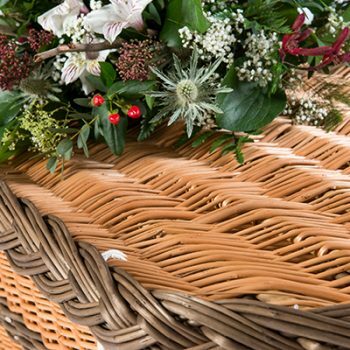 English Willow wicker coffins beautifully handwoven using traditional methods. Willow has been grown in England for centuries and as it regenerates easily once it is harvested it is a popular sustainable choice. 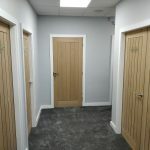 Different colours can be achieved using natural methods of drying, boiling or stripping of the bark. 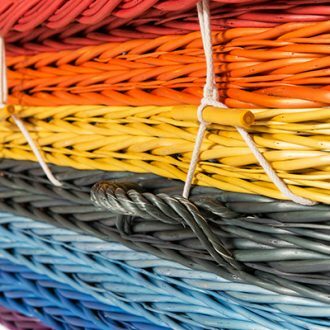 For a more colourful appearance, strands can also be dyed using a range of natural colouring. 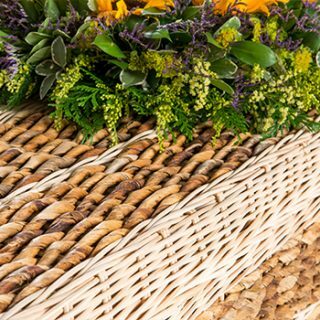 Golden brown banana coffins made from strong but flexible banana cord, woven around natural cane and light rattan framework to give the coffin more stability. 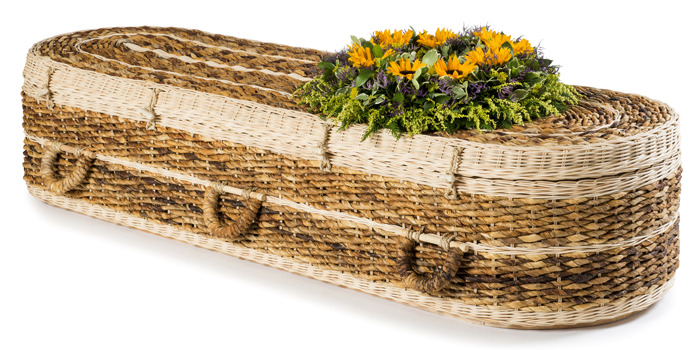 The round ended coffins provide a rustic yet gentle and surprisingly soft appearance. Pandanus coffins are made from the leaves of a prolific growing plant, providing a highly renewable and sustainable material. The dried leaves are twisted into cord using traditional methods and are then woven around a natural cane framework. Rattan is woven into the coffin to create a lightweight contrast against the natural silver colour of the Pandanus. Handcrafted from sustainable willow using traditional methods. The willow is woven onto a self-supporting frame, giving the coffins incredible strength whilst also remaining incredibly light. 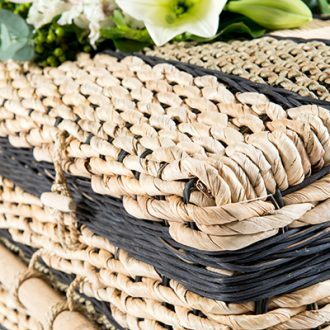 English Willow coffin beautifully handwoven using traditional methods. 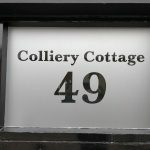 Willow has been grown in England for centuries and as it regenerates easily once it is harvested it is a popular sustainable choice. 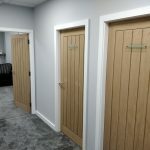 Different colours can be achieved using natural methods of drying, boiling or stripping of the bark. For a more colourful appearance, strands can also be dyed using a range of natural colouring. Round ended coffin created by dyeing individual willow strands and then weaving them into shape. 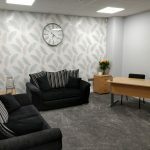 The rainbow colours symbolise hope, however with a range of colour choice available you can create almost any combination. Cerise and Ebony caskets achieve their beautiful design through a combination of woven banana, pandanus and rattan dyed in red or black. They are all Fair Trade and 100% biodegradable.